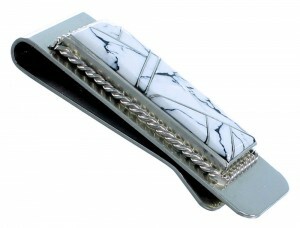 Money clip measures approximately 1-7/8" long and 3/4" wide. This is a wonderful piece of Navajo artistry! 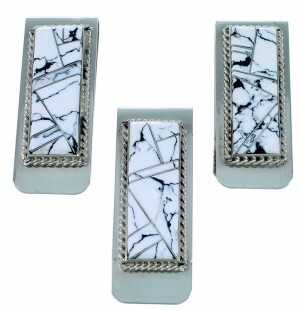 This piece of Native American jewelry is Navajo hand crafted by artist Arnold Yazzie, out genuine sterling silver and real Howlite inlay. 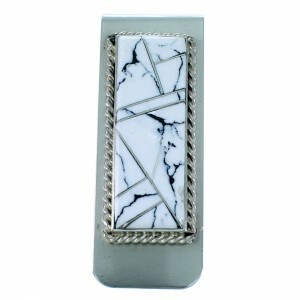 The inlay is delicately set, while thin silver lines and twisted silver can be seen highlighting for a charming finish. 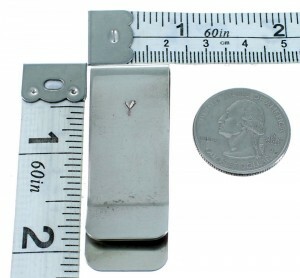 The money clip is hallmarked.